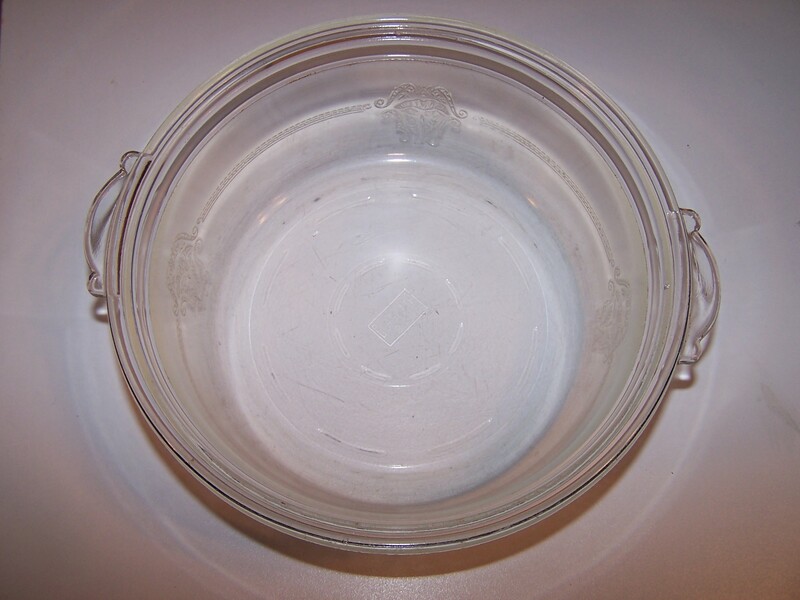 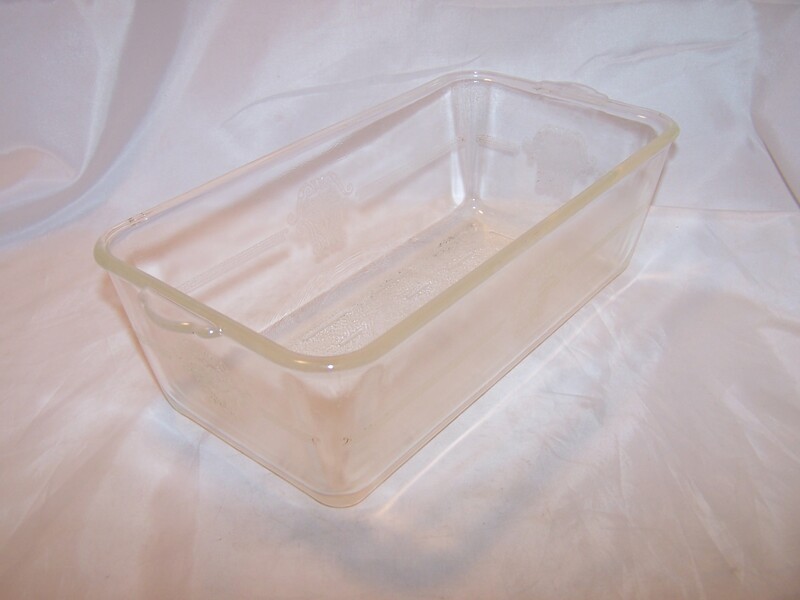 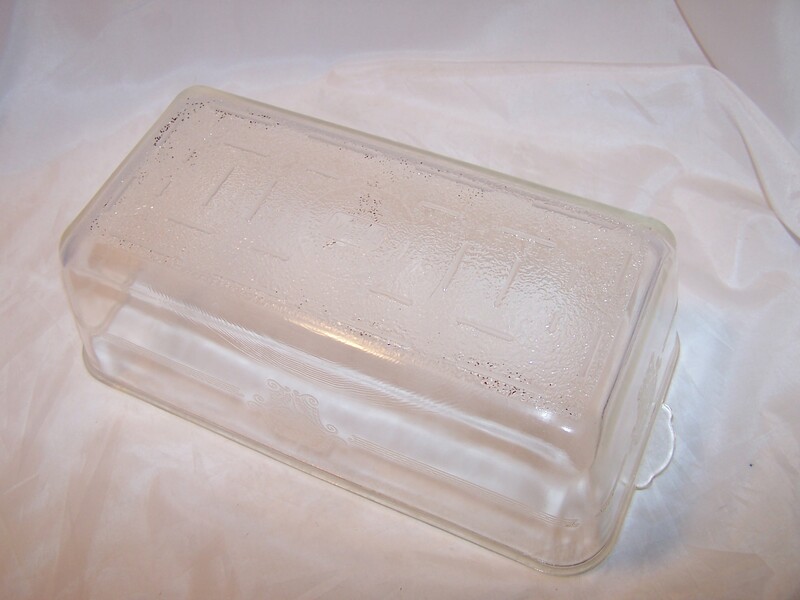 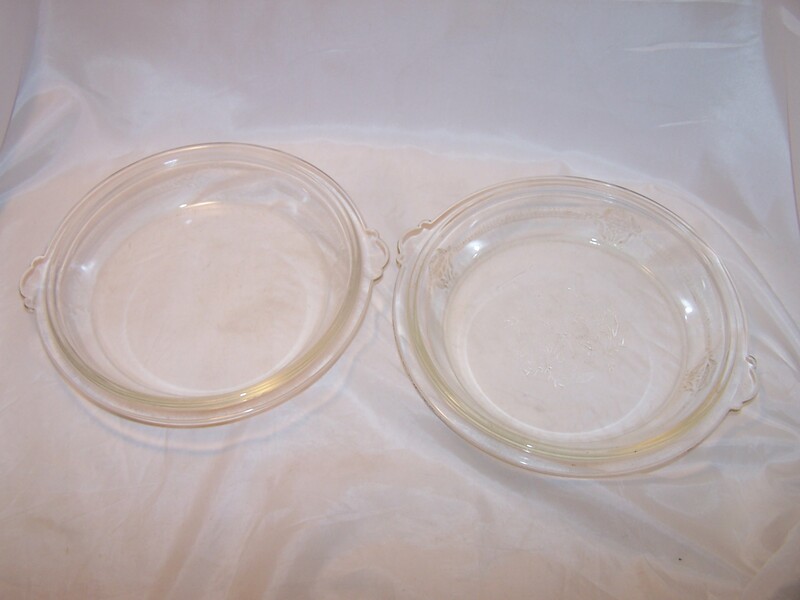 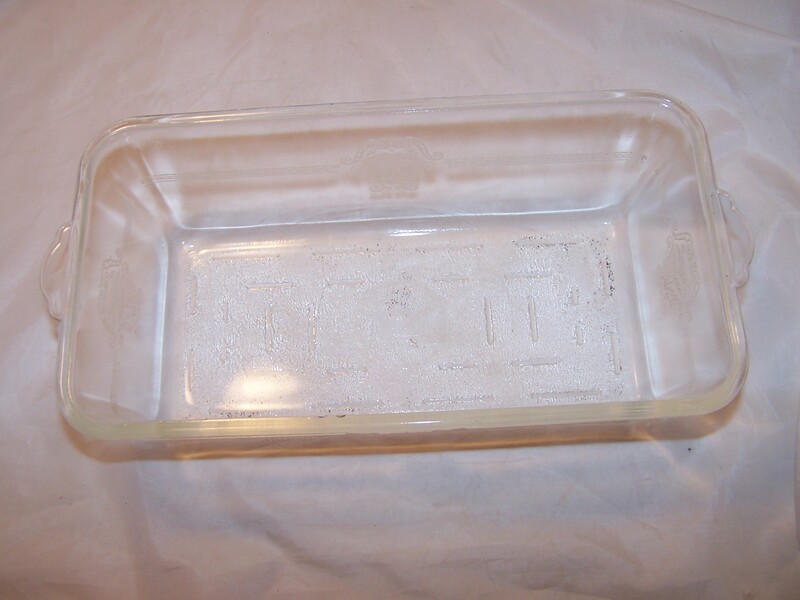 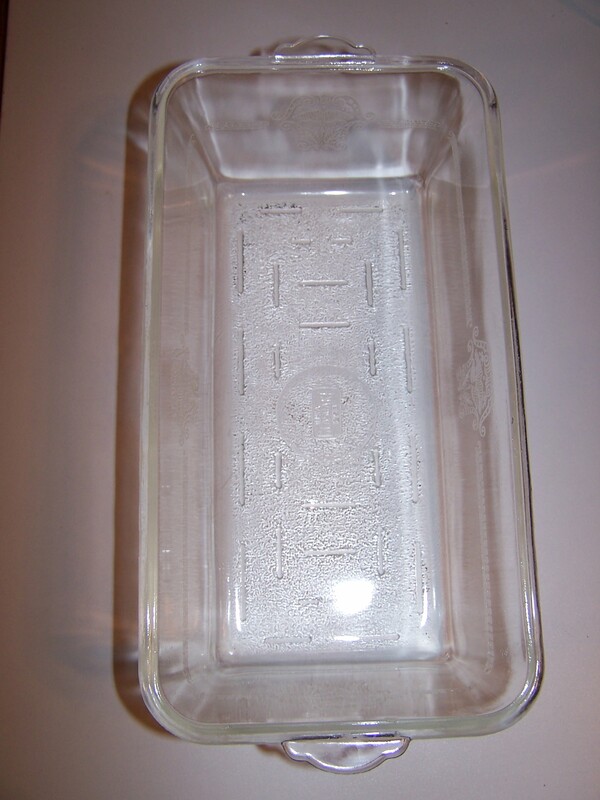 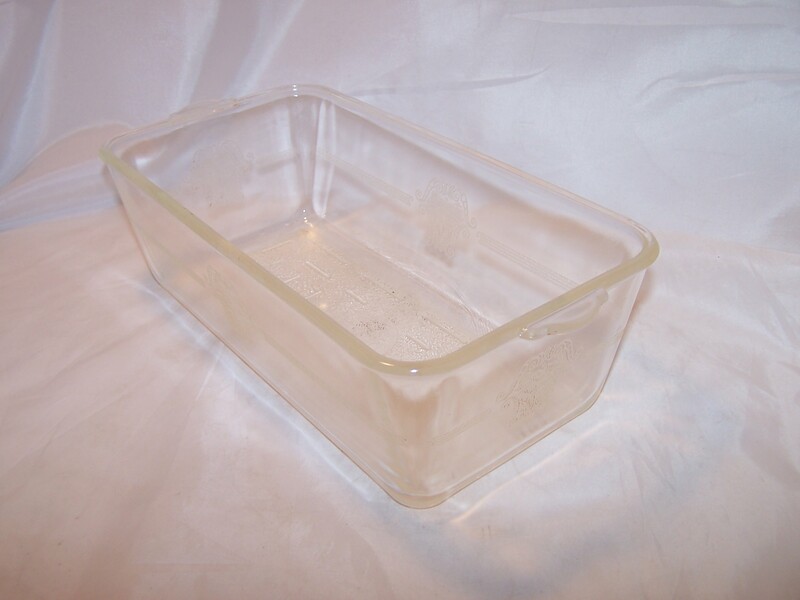 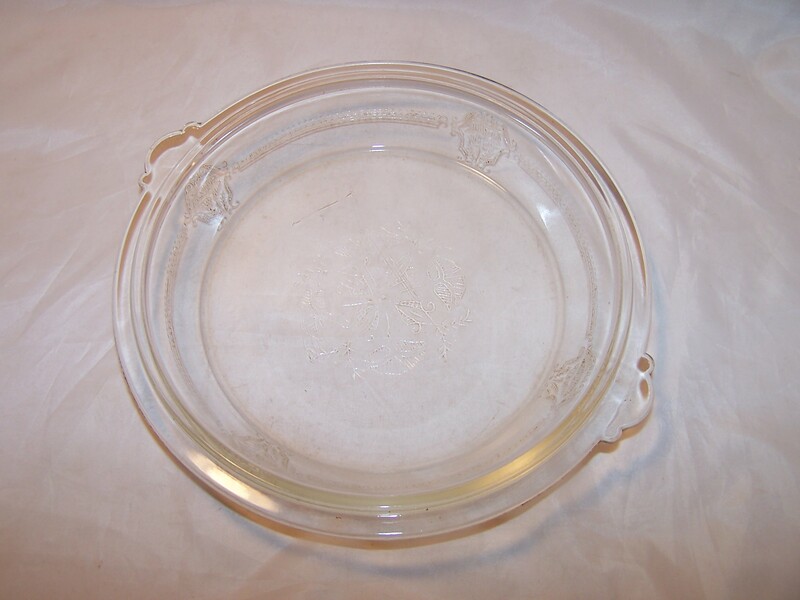 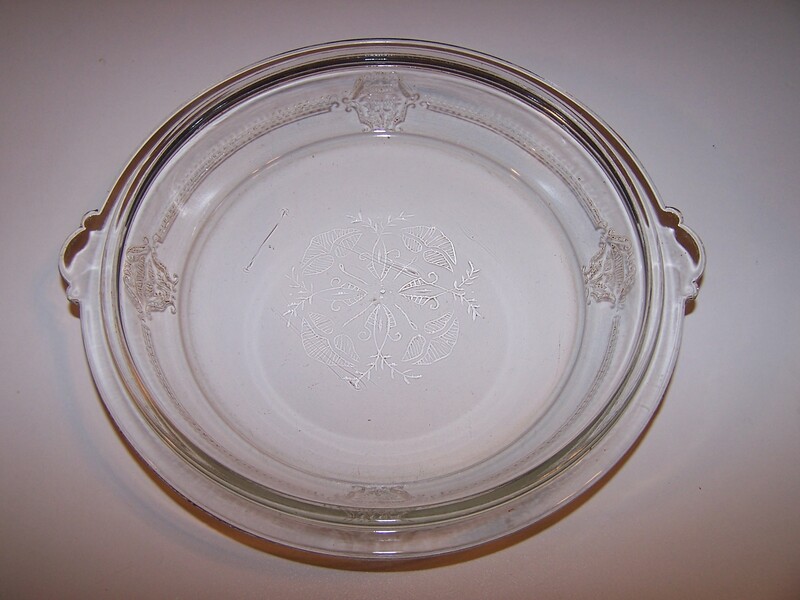 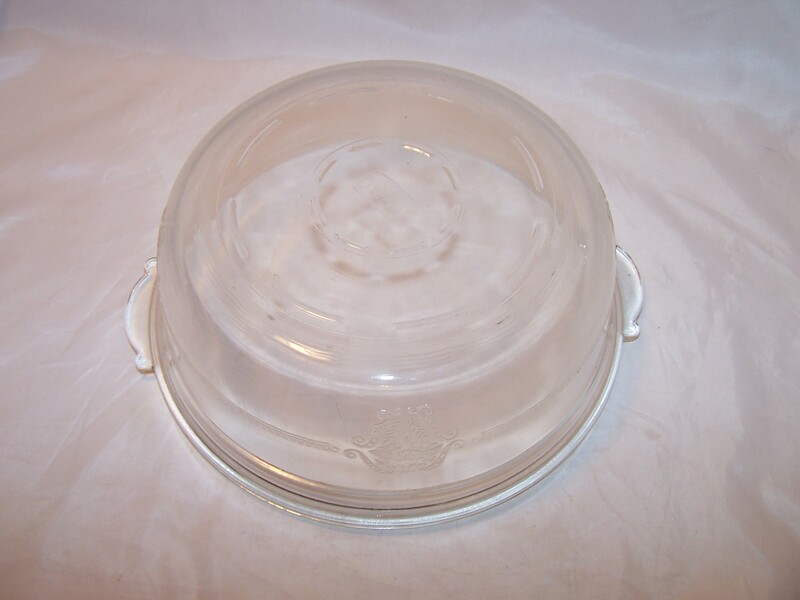 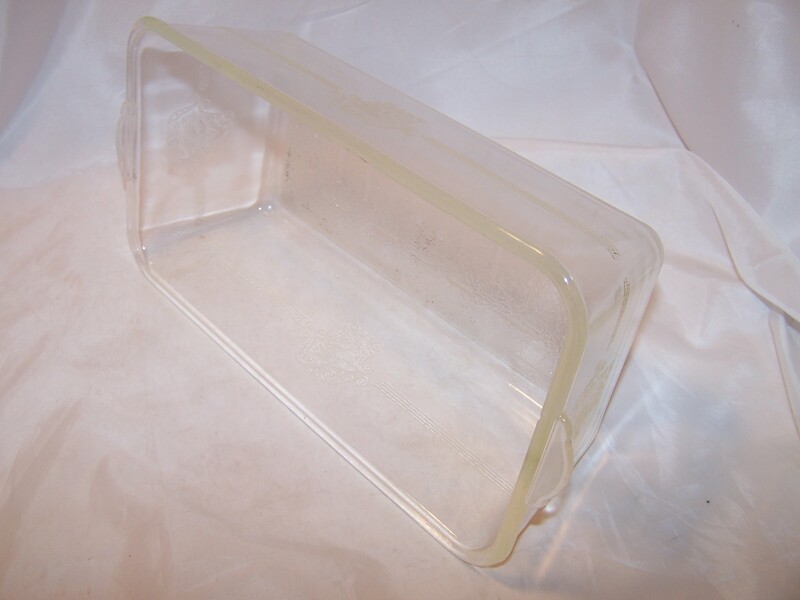 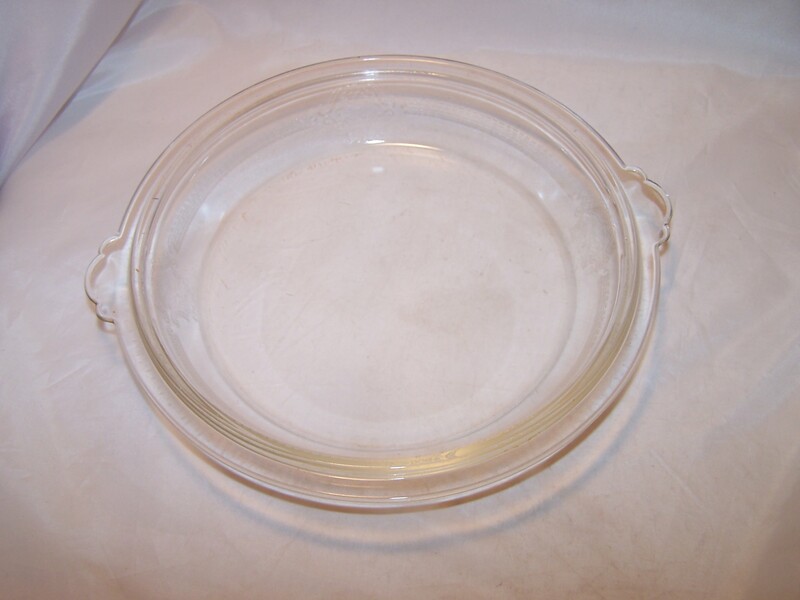 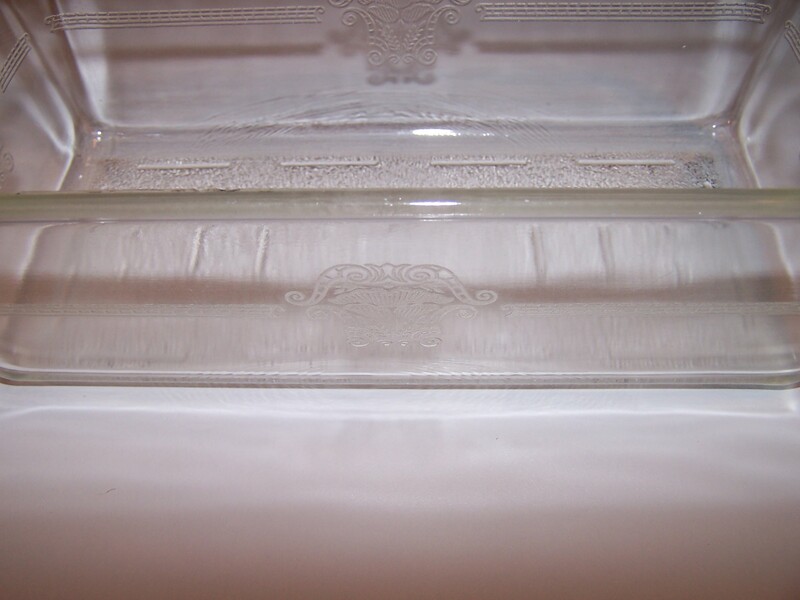 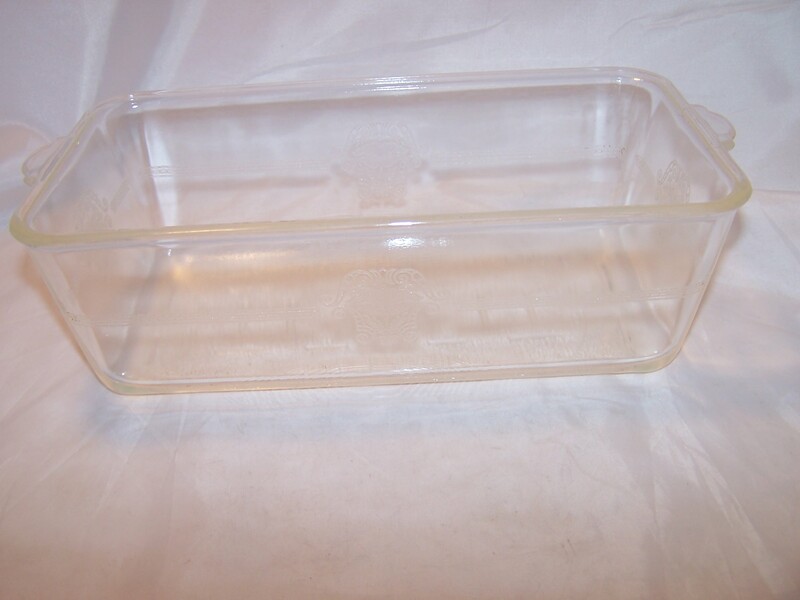 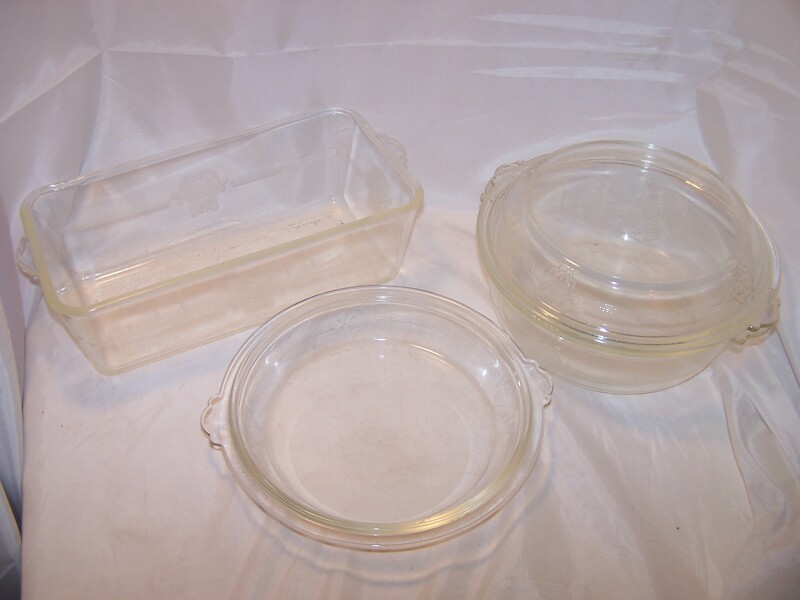 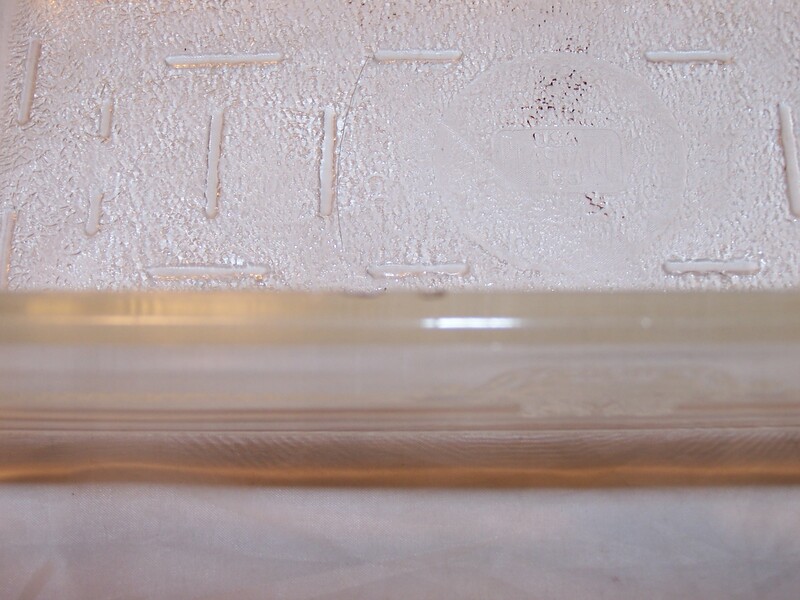 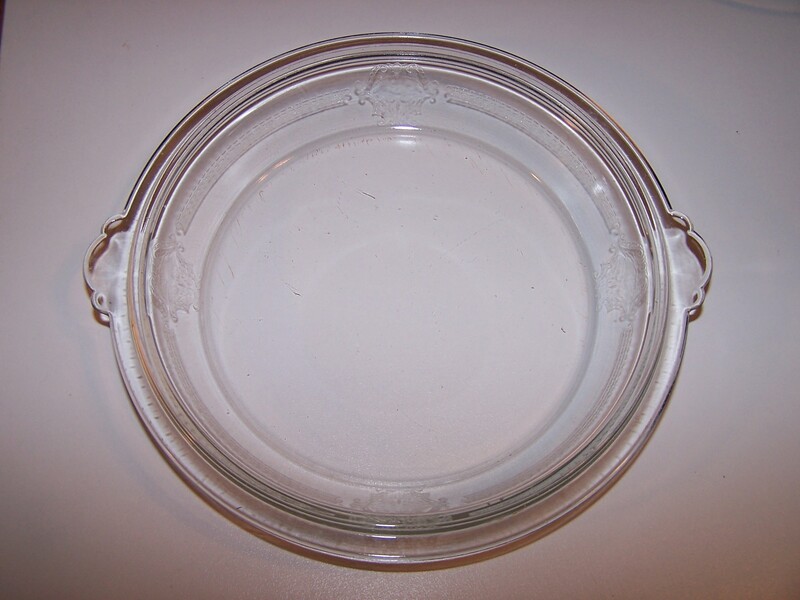 Elegant, embossed clear 1911 Glasbake mixing bowl, two pie pans, and an 11 1/2 inch long loaf pan. 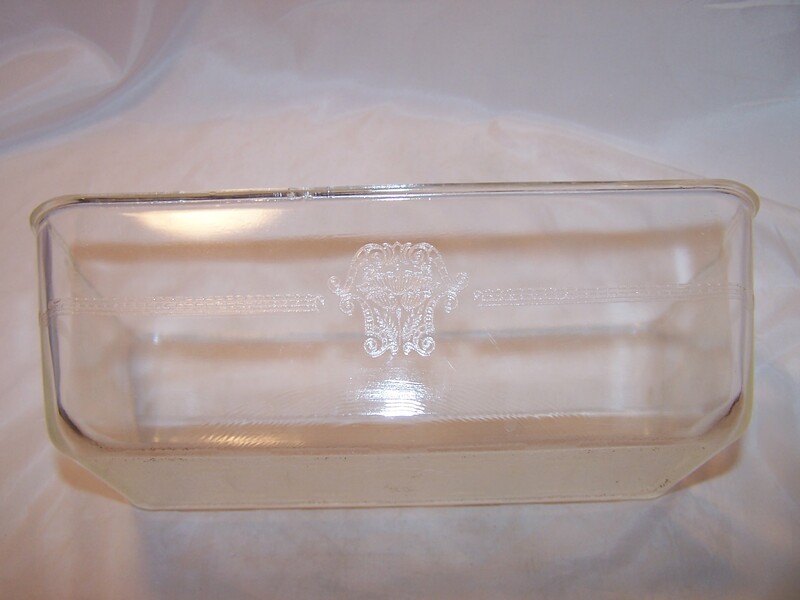 Number 253 is embossed on textured bottom of loaf pan. 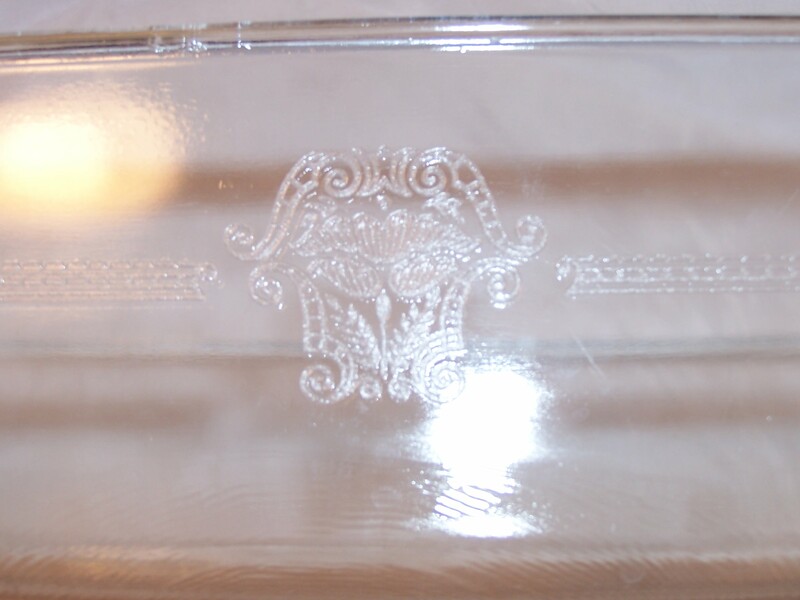 Victorian design.